For me the meaning of my barrel is both personally and socially derived, just as described by Hasselkus (2002, p.3). 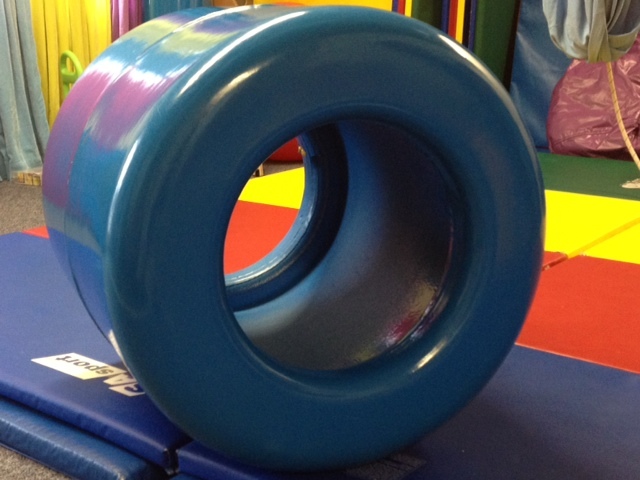 I purchased the barrel when I was working at another facility as a very young therapist. Some months after I left that facility I received a phone call from the Director who offered to sell me a lot of the equipment because the clinic was closing. For a modest donation I was able to purchase the barrel along with a lot of my other equipment that is still in my clinic. 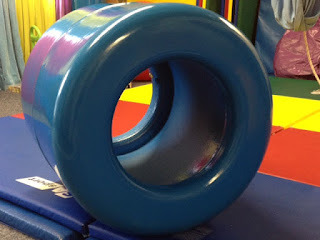 My earliest recollection of using the barrel in therapy was with Brittany, a toddler who had hemiplegic cerebral palsy. She would stand inside the form and support herself by holding onto the lip of the barrel while practicing stoop and recover missions to rescue small plastic animals that were 'dropped' nearby her feet. This was endless amusement for her and something that she never really tired of. That barrel is responsible for helping her develop the requisite strength in her lower extremities that she needed for mobility. That barrel is responsible for helping her develop skill in using her hemiplegic arm. That barrel is responsible for helping her understand how to maneuver her body through space. I was thinking about this because yesterday I was playing with another child in that same barrel - another toddler - but this one had Erb's palsy. The goals remained the same though - improving lower extremity strength, improving control of an extremity, improving confidence and understanding of how to plan movements through space. I guess I do a lot of the same things that I did 20 years ago. At least the stuff that works. So in between these years many other children have also used that barrel. Zachary rolled on it. Aaron threw Beanie Babies into it. Heather straddled it. Nicholas crawled through it. On and on. What strikes me most though is that Brittany is technically old enough to be a mom, and maybe she is bending at her knees and maintaining her balance and using her hemiplegic upper extremity to pick up her own child. If that is true, then that means that the barrel has really accomplished something. That is not a bad thought to help push you through a day. Hasselkus, B.R. (2002). The meaning of everyday occupation. Thorofare: Slack, Inc.
Well said & very entertaining, Chris. However, I give you all the credit, not the barrel.